The winter months are always a challenge for horse owners, so we listed below some of our top tips to make the cold and wet winter days more bearable. After all horses like the outdoors, freedom and the Scottish fresh air. At Ross Dhu, we know the temptation is to wrap your lovely horse up to keep them cosy and warm, by using blankets and a snug warm heated barn for the cold season. However, we would say ‘avoid the urge’ and remember that horses are outdoor creatures, and are better off if you refrain from wrapping them up. Equally, all horses deserve and must have shelter, especially for night time. This doesn’t mean you need to close up the barn, as horses like humans like air to flow freely so they can breathe easily and don’t over heat. Clean, fresh water – you need to make sure that he has clean, unfrozen drinking water so that he stays hydrated at all times. After a frosty night, break any ice on water troughs first thing — the ice may have meant that your horse hasn’t had access to water for several hours. Check your horse properly twice daily – even if they are living out. Particularly looking out for wounds and early signs of mud fever. To help minimize the risk of mud fever, towel-drying the legs is more important than anything else. Increase food – your horse will burn more calories to stay warm, during the colder months. It is important to talk to your veterinarian about how much feed your horse needs during the winter. Increase roughage rather than hard feeding and remember to condition score your horse in case you need to adjust their feed rations. If you are not sure how to do this please consult with your vet. Remember, the horse has its own internal heating system through the process of digestion in the hind gut (roughage) and the function of the liver which keeps their core temperature at around 40oC irrespective of the external weather. Feed good-quality oil – to your horses through the winter months. It’s brilliant for keeping condition on and for the coat. Let your horses natural winter coat grow and protect him – horses are designed to regulate their body temperature by raising the hairs on their body (piloerection) increasing or decreasing the insulating factors depending on ambient temperature. An adult horse can change its coat density and thermoregulatory abilities by up to 30% just by moving the hairs on their body. If we put rugs on the horse this inhibits their ability to “fluff” themselves up to keep warm and in some cases, can actually make them feel colder. 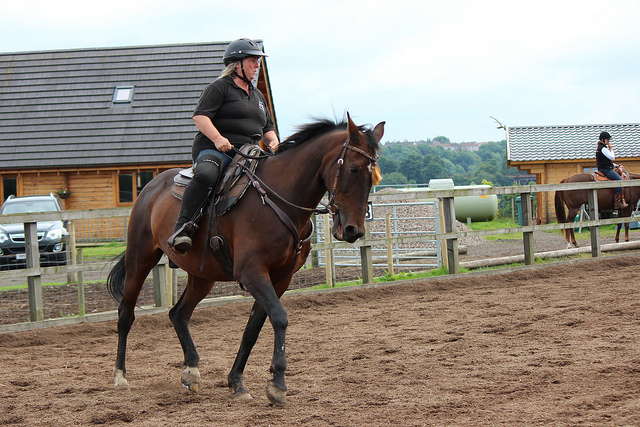 Exercise – even when it’s cold horses need and like to run around. So, you should continue riding and exercising your horse. If the Scottish snow hits so bad, that it’s not safe to ride, then we recommend you turn your horse out daily into a large paddock or similar area. As always, if you are in any doubt about any of our top tips for keeping your horse healthy and save over the winter period. 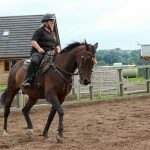 Then please do drop us an email on contact@scottishhorsehelp.com or call Morag on 01698 886 492 and we will be more than happy to provide advice and guidance.